Sell iPad Mini 2 | How Much is My iPad Mini 2 Worth? iCloud locked devices are not accepted. Please turn off iCloud lock prior to shipping to GreenBuyback. What is an iPad Mini 2 Worth? Sell your iPad Mini 2 for top dollar at GreenBuyback. Select the information above in order to receive an accurate quote for the iPad Mini 2 you want to sell. Click sell item if you agree with the price that is displayed. GreenBuyback purchases cell phones, tablets, and laptops at the highest prices in the industry! GreenBuyback pays cash for your old cell phones, tablets, and laptops. When you sell your cell phone, tablet, or laptop to GreenBuyback you will never have to pay for shipping. GreenBuyback is dedicated to maximizing the cash back to our customers. 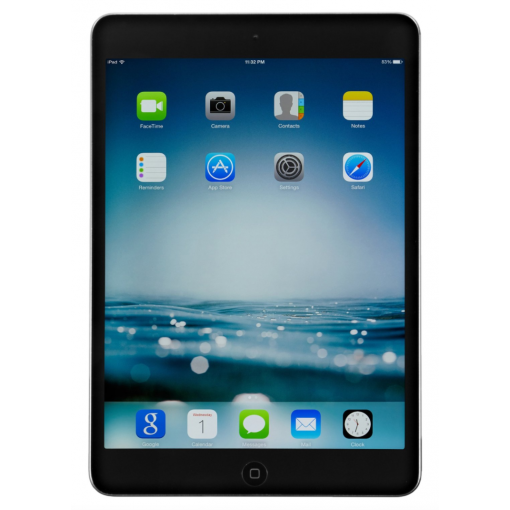 Sell your iPad Mini 2 for cash today! Apple debuted the second generation of iPad Mini in 2013; it was released with much of the same structure as the original iPad Mini. However, the greatest difference between the iPad Mini and the iPad Mini 2 is the screen display. The iPad Mini 2 features a 2,048 x 1,536 resolution Retina Display, whereas the original iPad Mini does not have the upgraded retina display. Both the iPad Mini and the iPad Mini 2 are the same size, at 7.9 inches. Selling an iPad Mini 2 is so easy with GreenBuyback; send your iPad Mini 2 to GreenBuyback with free shipping and you'll get cash sent to you fast! The iPad Mini 2 can be Wi-Fi only, or Wi-Fi with a cellular connection as well. GreenBuyback will buy your iPad Mini 2in any condition, even broken! Simply head to GreenBuyback to get a quote, send your iPad Mini 2 in, and get cash quick!